West Nyack, N.Y. (March 19, 2019) – NAI James E. Hanson announces it has advised on a 1,200 square-foot lease for Palm Organix at Palisades Center Mall in West Nyack, N.Y. NAI James E. Hanson’s Michael Walters, Executive Managing Director of NAI James E. Hanson’s Corporate Services Group, represented the tenant in the transaction. Based in Fort Collins, Colo., Palm Organix sells premium, pharmaceutical grade CBD products, made from organically grown, industrial hemp. Palm Organix’s entire product line is completely THC-free, which differentiates Palm Organix from many other CBD brands currently on the market. 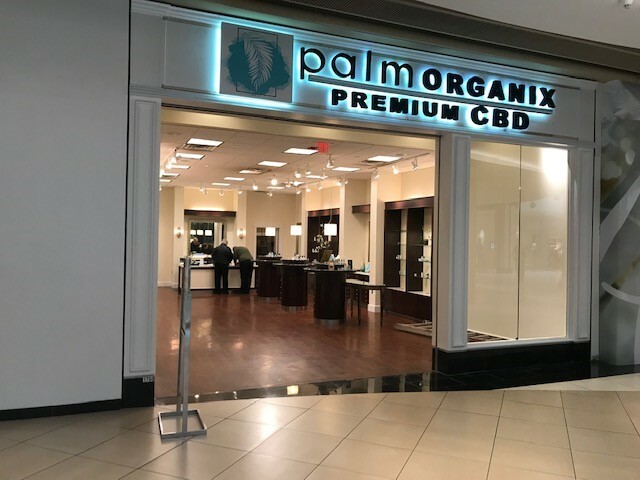 With products previously only available online, the opening of Palm Organix’s first retail location will allow the company to introduce their premium products through a physical storefront while also offering opportunities for customers to receive hands-on education about the benefits of CBD. Featuring a location less than 30 minutes from the heart of New York City, Palisades Center Mall is a four-level shopping center offering over 200 stores, 15 sit-down restaurants, a bowling alley, ice rink, the world’s tallest indoor ropes course, comedy club, and more. The Palisades Center Mall is the 7th largest mall in the country with over 24 million annual visitors. The high-traffic location is an ideal space for Palm Organix as it will enable them to reach new customers in one of the nation’s most densely-populated markets. Walters leads NAI James E. Hanson’s Corporate Services Group, a specialized extension of NAI James E. Hanson’s owner and tenant representation services for clients such as Palm Organix that have multiple locations or needs. For over 20 years, the Corporate Services Group has been trusted by leading companies, including HelloFresh, Diapers.com, Wells Fargo and Sanyo Logistics, to assist with their regional and national commercial real estate needs. Ranging from acquisition and disposition planning and management to corporate lease administration and analysis, the highly-experienced Corporate Services Group can work with companies, small to large, to streamline their real estate operations and deliver the consultation they require to make strategic long-term real estate decisions.